LONE TREE offers blue skies, beautiful surroundings, excellent recreational opportunities and a flourishing community. However, Lone Tree is much more. Lone Tree is the smaller incorporated neighbor city of Highlands Ranch. The city’s motto, “It’s a great day to be in Lone Tree,” encompasses the overall sense of pride community members share with the city and with one another. Residents and visitors of all ages enjoy a diverse range of activities and facilities including the Lone Tree Summer Concert Series, the Lone Tree Library, an extensive trail network,the Lone Tree Arts Center and first-rate shopping. The schools serving Lone Tree, and the majority of the front range communities that are part of Denver are a diverse mix of public systems, charter schools, and private/parochial schools. Charter schools are considered public and will be included in the district listings. Please see the more school connections link for private, charter and home schooling options. NOTE: While many school districts serve portions of Highlands Ranch, no single one covers the entire community. The property address will determine the school district. Sometimes they will overlap…but not always. 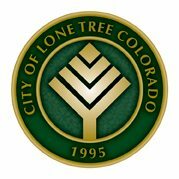 Lone Tree became a home rule city in 1998 and is governed by a 5 member city council. Four members of the council are elected from districts in the city and the Mayor is elected at large. The City Manager is hired by thew council which seems to create a strong combination of the managerial abilities and the political strengths of the other. A wiki link to the city’s history and the official history page of Lone Tree. Originally a development built around the touted Lone Tree Golf Course, now owned and operated by the South Suburban Parks and Recreation District, The City of Lone Tree incorporated in November 1995 and became a Colorado Home Rule City on May 5, 1998. A major impetus for incorporation was resident’s concerns relating to land use, the quality of development along the C-470 corridor, and their desire for greater input over development decisions that would affect their future. Many dedicated residents efforts got the decision to incorporate evaluated, and through a vote of the electorate, was determined to be in the best interest of the community. In a ll the cities around Denver there are a lot of opportunities for recreation, a lot of which Colorado is famous for including many horse clubs. The rest may be local golf, flag football or softball teams, walking and jogging path maps, or even recreation centers provided for residents.